The best companion you can ever have during your fishing trip. Made of stainelss steel, it is strong enough to cut through aluminum cans and even braided fishing lines. End is blunted for safety reasons. 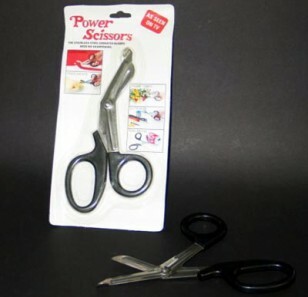 You can use it in the dark without fear of cutting yourself. Can also be used to cut fish and chicken meat in the kitchen. All purpose use. Available at Petmart and other fishing tackle shops.